There has been a bit of a radio silence on new FV Player features. The reason for this is that we are still working on the major upgrade to version 7 of the Flowplayer core. It was meant to be released around the beginning of January, but we unfortunately ran into some obstacles and core Flowplayer issues (on which we worked together with the Flowplayer team) that were preventing us from releasing this faster. FV Player 7 is currently in the phase of closed beta, so the public release should not take too long. In the meanwhile, we added some new features to the current version of FV Player and also fixed some bugs. We added a new way to show your playlists - slider is a horizontally oriented style that will show video thumbnails in a similar way as classic horizontal playlist. The main difference is that the thumbnails will be aligned only in one row and viewers can browse through them by using a slider. You can select the slider playlist style the usual way, which is explained in our guide How to Create Playlists. We have also changed the position of the button that activates this feature globally for all videos and incorporated both to their own box called DRM Text, which can be found in Settings > FV Player Pro > Setup tab. Check our guide Protecting Videos With DRM Text to learn more. 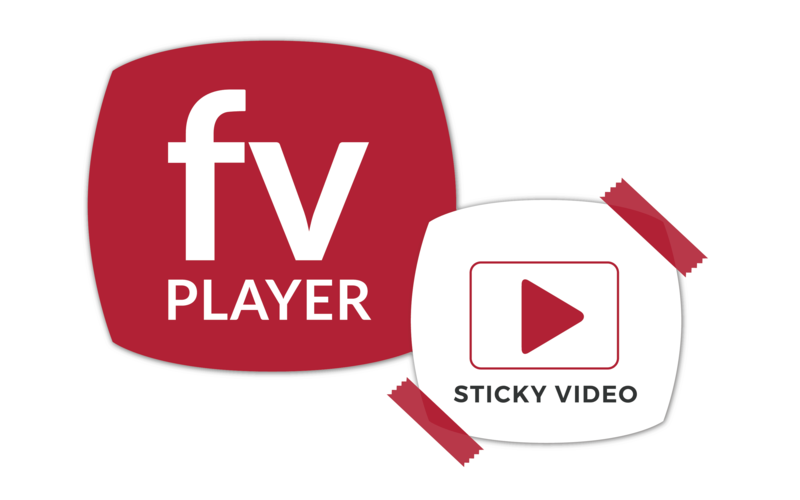 We decided to quickly improve the conversion function (which can be found in Settings > FV Player > Setup tab > Conversion > Convert JWPlayer shortcodes) and help our users with switching seamlessly to FV Player. The Pick fastest automatically is the default setting, other three will help you to focus on one region and prevent possible drops in video loading speed. You can find this option in Settings > FV Player Pro > Hosting tab > Vimeo (Pro), although at this moment, it is only available in Beta. If you want to learn more about how to integrate Vimeo with FV Player, read our guide How to Use Vimeo with WordPress. Until now, videos served via HLS.js always started in lower quality, because the stream prioritized quick start over showing the best possible quality. We improved this so FV Player will now check what streams are available and picks the one that is most suitable automatically. That means that on a slower connection (for instance on mobile data), the player will pick the low quality stream, and on fast connection it will start with the HD right away. Android devices support HLS natively for a long time and Vimeo offers this streaming format natively. Also, a couple of times we ran into problems with Vimeo's MP4s. It turned out that MP4 videos use different CDNs than streaming formats (HLS and MPEG-DASH) and they sometimes caused trouble. Therefore we have decided that FV Player will automatically pick HLS on all Android devices, which will prevent any future problems with Vimeo network.